In 2018 and amidst all of the controversies surrounding the most popular socializing app Facebook, the blue platform has decided to bombard the billions of its users with a whole bundle of innovative and renewed features that are aimed to enable them to communicate in an easier and more efficient manner. And after the debut of the brand new Facebook hardware “Facebook Portal” and the recent expansion of the chatting sessions in the Facebook messengers, it’s reported that Facebook is planning to take a step further and improve the Facebook main messenger by adding the voice command feature that’s going to ease the process of roaming and wandering through the socializing app. 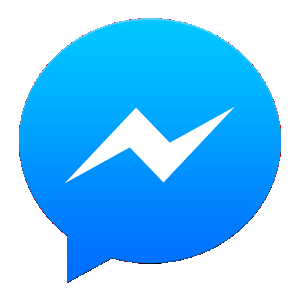 Depending on the development pattern of the Facebook messenger, it’s expected that the upcoming version of the app is planned to flaunt an initial voice command feature that’s first going through a testing time before determining its functionalism and efficacy. As of now, the only official statement released by Facebook states that there are indeed plans to invoke voice commands into the popular messenger but the first version of the upcoming feature is being tested internally before releasing it to the public. A Facebook spokesperson added that new features are, usually, first experimented with and tried out by the Facebook staff before taking the final decision of either releasing the new feature or withholding it. However, the addition of the voice commands along with the accompanying features – such as the translation and bilingual properties – will be of great benefits to various types of users for different reasons; some major benefits revolve around composing messages verbally whilst carrying out other tasks and also the voice commands can be extremely beneficial for users with special needs. Obviously, the theoretical talk about the yet-to-come Facebook voice commands shows, to a good extent, the beneficial facets of this upcoming feature; yet there isn’t any official confirmed date for the launch of the voice commands on the blue messenger. In the past, Facebook has tried many times to step up the messaging game by introducing new services and incorpating new features; clearly enough, not all of the Facebook renovated plans have succeeded to attract more users to the platform. Yet, the implementation of the voice commands may indeed prove itself as a clever idea if carried out and introduced righteously. The most important part of the equation is that innumerable Facebook fans are growing quite tired of the spying accusations and rumors and that’s why Facebook has to keep in mind that very feature presented to the audience must protect their privacy and individual personality.